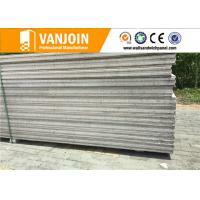 Light weight: 1 person can take up two pieces of vanjoin panel. Easy to install, fast construction: Can build 75-80㎡ per day. Strong and durable: Long life 60-70 years. Heat insulation and preservation: Thermal conductivity: 0.221W/mk. Weatherproof; windproof: 70m/s; grade 13. 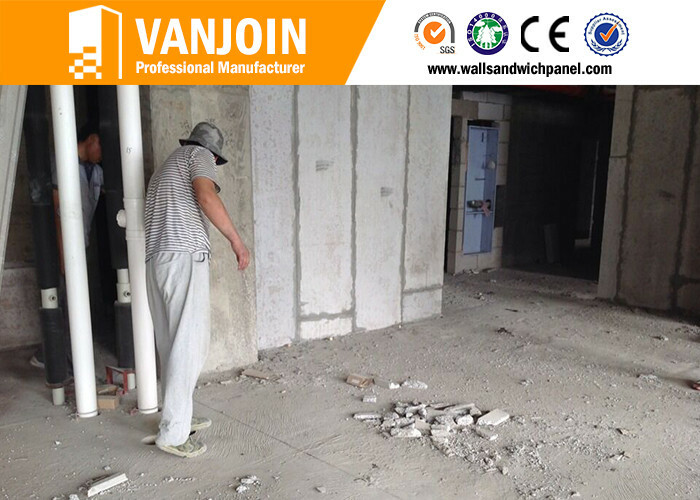 Fireproof: Our sandwich wall panel can keep well under 1000 degree temperature about 4 hours. Best hanging strength : Single point hanging force is > 1200 N.
Weight capacity: 400KG / square meter. Package: 189 pcs, 262 ㎡ per 20'ft container.